Big losers but only small winners: this odd imbalance is always the most striking thing about the Panda Update movers & shakers lists from the USA, UK, and now, Germany. 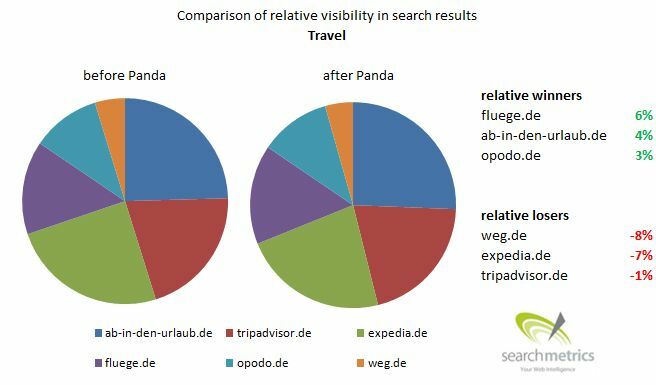 There is a dramatic loss of visibility – up to 99% – but the winners have only enjoyed modest gains. How can this be? The explanation is a little complicated, but essentially quite logical. You have to realize that even though the effected losers may have completely lost the top places, in a kind of ‘SEO-law of conservation of energy’ these spots are simply filled by others. In other words, if a placing disappears from the index, the lower sites simply move up one to compensate. Price Comparison 1 and Shop 2 were punished by the Panda-Update, Price Comparison 2 gained one position and Shop 1 remained steady. A Facebook community page and a newspaper article were swept into the top 10. 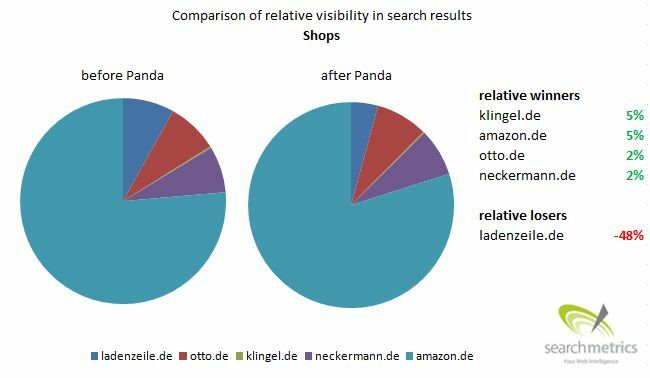 It is interesting here that Price Comparison 2 and Shop 1 are the really big winners in this Panda Update example. 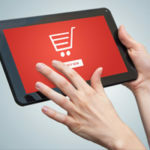 The rankings from both have only improved a little, but they are now the only results that might interest customers looking to shop. This is important when we’re dealing with a ‘transactional search’ where anyone entering this kind of search term is unlikely to click on a link either to Facebook or a newspaper article. 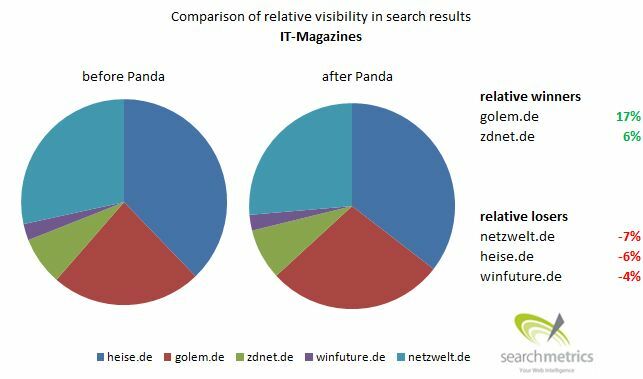 So, this Panda mystery arises from the strong losers and weak winners. 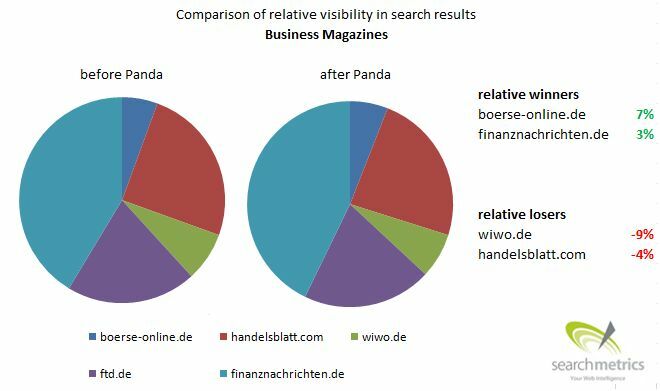 However, the gains of Price Comparison 2 and Shop 1 are hardly measurable in absolute ranking changes (and therefore in visibility indices) because even in these extreme cases, you don’t have to actually improve your own ranking to win! 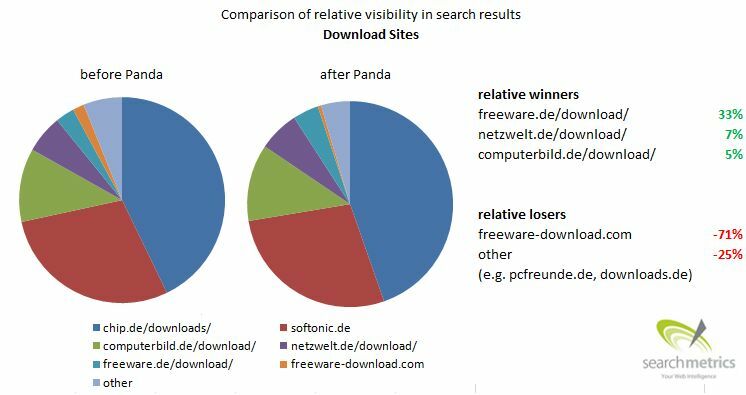 The real winners from the Panda Update can only be identified relative to the movements of their direct competitors. 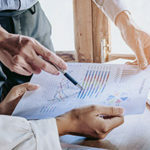 When we look at the relative domain changes in different sectors, you can certainly identify a few interesting big winners. I’ll demonstrate this by referring to some examples from a variety of sectors. So, the big Panda profiteers do exist. 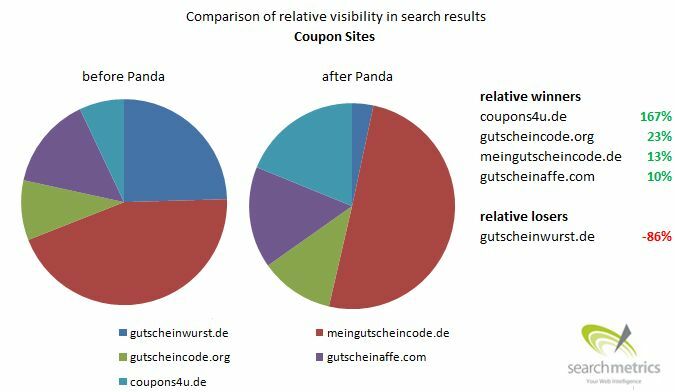 Above all, it is striking that the effective losers from the coupon portals, like meingutscheincode.de (my coupon code in English with a 51.89% loss in visibility), are actually among the relative winners. 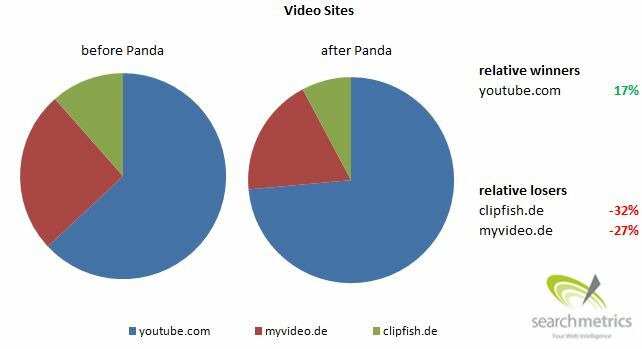 Who do you suspect came off the best from Panda? Were there any surprise moves to the top or to the bottom from your point of view? P.S. : Who’s writing this stuff? My name is Sebastian Weber and I’m an SEO consultant with Searchmetrics. When I’m not writing blog posts, I’m optimizing sites from every corner of the internet, and trying get to the bottom of phenomena, both in the online and offline world. When are you expecting to have data about other European countries? 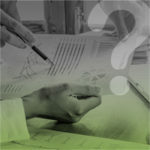 There are some more European countries in the German blog – http://blog.searchmetrics.com/de/. Next week I’ll translate them into English. 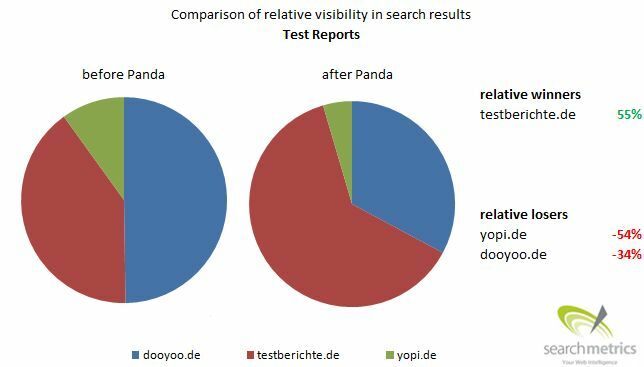 I think its now difficult to do with SEO after Google Panda, Google is now more intelligent one can’t make google more only genuine work will stay.